DISCOVER THE NEW WAY OF HAVING FUN!! Jump into the action without delay and control our ROBOT now!! DIFFERENT from everything on the net! LIVE 24 / 7 ! Your performances will be seen live by thousands of surfers! 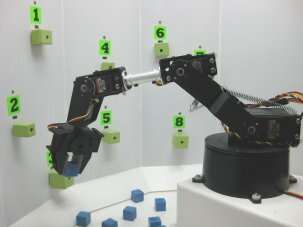 Try our game now and see the accuracy and precision of the movements of our robot. There are a lot of tools at your disposal: control knobs, scrollbars and several camera angles.